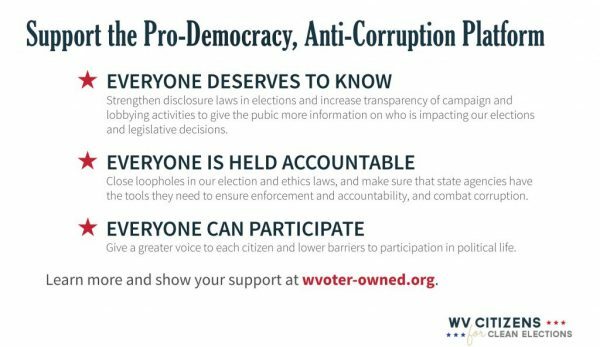 It’s a new year, and a new West Virginia Legislature, and you can help West Virginia Citizens for Clean Elections advance the Pro-Democracy, Anti-Corruption Platform during the 2019 legislative session. As we saw with the teachers’ strike during the 2018 West Virginia Legislative Session, people power works. 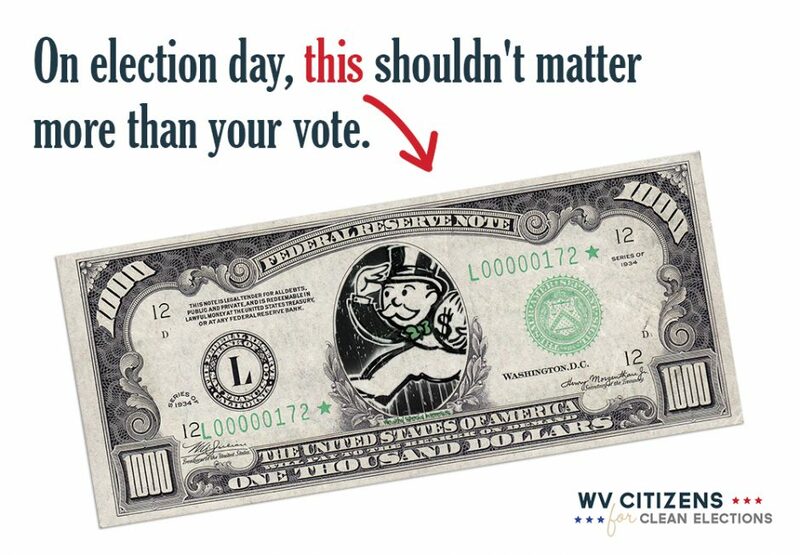 We, the people, know how to make West Virginia a better place to live. When legislators listen to regular West Virginians, they can work with us to pass bills that make West Virginia a better place to live. The governor can sign those bills into law, and our courts can uphold those laws. But too often, our politicians look like they are listening to big-money special interests rather than people like you and me. Well it’s time to make them listen. 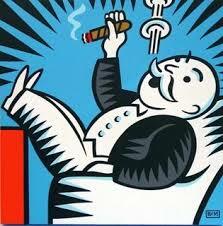 We don’t want the best democracy money can buy. We want our voices heard. We want clean and fair elections. We want fairness and transparency in government. This is not about Democrat vs. Republican; this is about fixing a broken system, and moving toward a government that’s more transparent, accountable, and responsive to the needs of all West Virginians. Fortunately there’s a solution: the Pro-Democracy, Anti-Corruption Platform. The platform is a set of common sense solutions that can help put our government on a path to solve problems that affect us all. We produced a new, short video that we hope you will watch and share with the hashtag #WVProDemocracy. You can watch and share the video from Twitter, Facebook, or YouTube. Watch for an update later this week on bills we’re supporting that advance the goals of the Pro-Democracy, Anti-Corruption Platform. Thanks for your support in the fight for a democracy that works for everyone! Every Tuesday – Our Children, Our Future Community Lobby Days – The WV Legislature has declared that the focus of this session is “to make WV the best place to live, work, and raise a family.” We can hold them to this by being at the Capitol every week of the session. Please e-mail julie@wvoter-owned.org to let us know you’re coming.